As you may know that Windows Phone is the latest mobile phone OS by Microsoft and got very good attention from the end users. 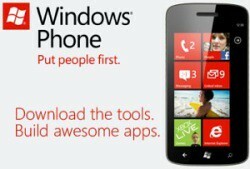 Microsoft is strongly leveraging the Windows Phone 7 platform. Unlike Google or Apple, they are trying to engage developers from around the world to make their Marketplace richer. It’s a great opportunity that developers from around the world can legally develop and sell Windows Phone Applications on the Marketplace. 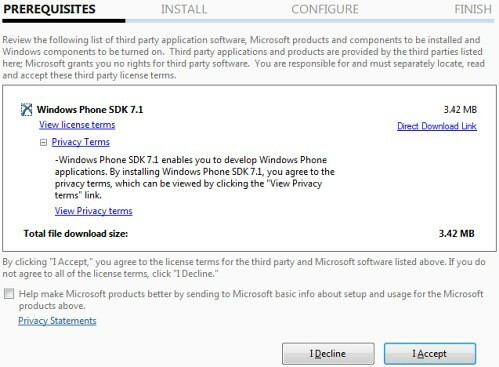 To start developing, you can download the Windows Phone SDK Online Installer from here or the Offline Installer from here and start developing. For those who do not want to download the big files can use an alternate method. The download will be smaller in that case but you need to have Visual Studio 2010 (or higher) installed on your computer. You need to have Visual Studio 2010 installed on your computer. You also need to have Visual Studio 2010 Service Pack 1. 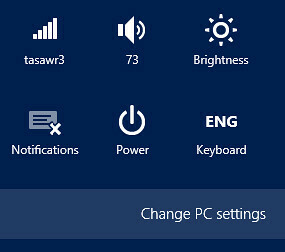 Download & install Microsoft Web Platform Installer (Web PI) from here. You can see the Windows Phone SDK’s size is less than 4MB. Once your application is ready, you can go to http://create.msdn.com/ and publish your app to the marketplace. Developers from some country may not find their name listed on the website. 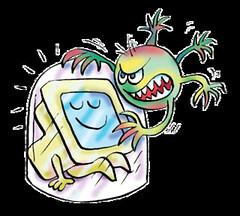 Well, don’t get upset as Microsoft has Global Publisher Program for you. To know more about Global Publisher Program please visit the Global Publisher page on MSDN.